“Pressure” is actually seen in loudspeakers as “sound pressure”, but guitarists ticking something different. Ultimately, a loudspeaker still moves air. The pressure felt for the guitarist is determined, among other things, by the diaphragm area of the loudspeakers. A lot of pressure is required for large loudspeakers (12 inches) and even better: several large loudspeakers with a beautiful depth, ie the lowest possible cut-off frequency. 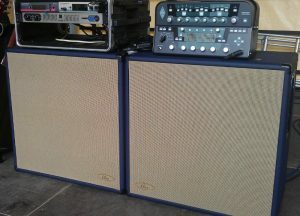 So: Big and heavy cabs -> fat sound. 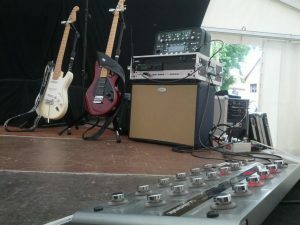 But in principle, I develop my amps and cabs always as small as I can.